Deborah Reed received her BSN, MSN, MSPH, and PhD all from UK. Dr. Reed was named a UK Provost’s Distinguished Service Professor in 2011 in recognition of her service to the university and the Commonwealth. She was appointed to the Good Samaritan Foundation Chair in Community Health Nursing in 2012. In addition to her research and service in the College of Nursing, Dr. Reed works with the College of Agriculture, Food and Environment as an agricultural health nurse. Dr. Reed was the Founder of the UKCON Occupational Health Nurse PhD Training Program, funded by the National Institute for Occupational Health and Safety (NIOSH) as part of the Central Appalachian Educational Research Center. Her dissertation research on the occupational rehabilitation of farmers who have suffered an amputation was funded by a Nursing Research Service Award from the National Institutes of Health. She also received the 1997 International Dissertation Award from Sigma Theta Tau. 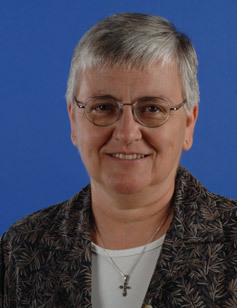 In 2005, she received the Nan Hilt Research Writers Award from Orthopedic Nursing for her manuscript based on this work, “Understanding and Meeting the Needs of Farmers with Amputations.” Her gerontology research gained her the Southern Nursing Research Society's John A. Hartford Geriatric Research Award in 2009. Dr. Reed's interest in agricultural health issues is reflected in her program of research, which has included grants to study youth equestrian safety, community coalitions of farm women to address health and safety issues of farm families, education of high school youth about the risks of disabilities from agricultural injuries, sustained work of older farmers, vocational rehabilitation of migrant farm workers, evaluation of community-based farm safety day camps, agricultural health education for nurses, and issues of aging and farm work. Dr. Reed has worked with many organizations, including Agrability, the National Farm Bureau Federation, the Kentucky Department of Agriculture, the Kentucky Farm and Home Safety Council, the Kentucky Migrant Farm Worker Health Program, and the Progressive Agriculture Foundation. She currently serves on the Scientific Advisory Board of the Northeast Center for Occupational Health and Safety. In 1999, in recognition of her efforts in agricultural health and safety, Dr. Reed was named an honorary Kentucky Commissioner of Agriculture. In 2006, she was chosen as the U.S. representative to the Canadian Agricultural Safety Association. Also in 2006, she received the College of Nursing Alumni Association Outstanding Researcher Award. In 2007 she received an honorary state FFA degree from the Kentucky FFA Organization (formerly the Future Farmers of America). Dr. Reed's most recent research, Farm Dinner Theater, was designated as Edge Runner by the American Academy of Nursing in 2018.